Create your own stunning reflective artwork, by learning to apply and then etch in gold leaf on glass. After that we move on to oil gilding a plaster cast. Verre églomisé and oil gilding techniques have barely changed over the centuries and are amongst the most satisfying to learn. 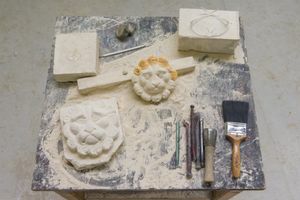 At the Art School, we teach our woodcarvers and our conservators a variety of techniques for the application of gold leaf to different surfaces and objects, old and new. 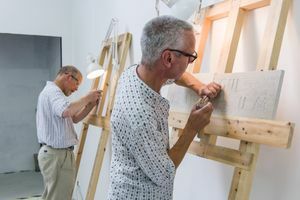 In this short course, we introduce you to the specialist techniques of verre églomisé (gilding on glass) and oil gilding. 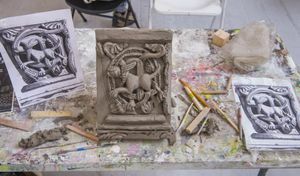 The latter is suitable for use on external architectural features, including wood and stone, but in this course, you learn to apply it to plaster. Verre églomisé, the technique of gilding the reverse side of a piece of glass, is now most often found in museums and galleries, and employed by sign writers and artists. In this course you learn how to apply loose gold leaf to glass, and then to etch your design in gold leaf, finally sealing it with coloured enamel. Along the way, we show you how to make size, and some interesting techniques for etching. You’ll be amazed at the end result of your endeavours: a stunning reflective artwork! 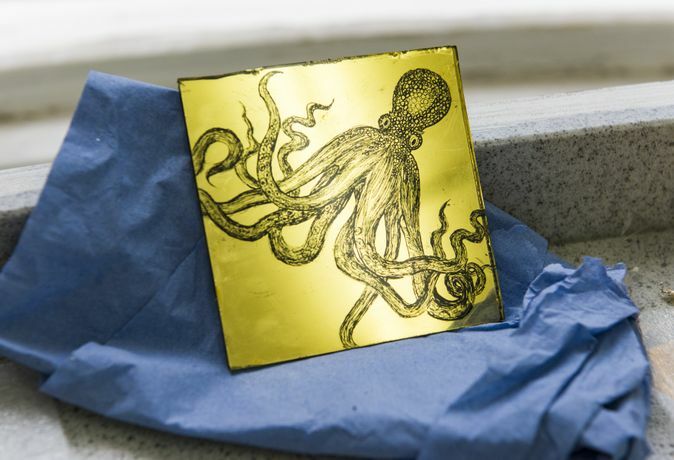 While the verre églomisé method is only ever used on glass, oil gilding is found on various substrates. Key to successful oil gilding is an understanding of how best to seal the substrate (though we will already have sealed the cast you’ll be working on) and working to timeframes (knowing when the size is perfect to then lay the leaf). Again, you learn how to apply loose gold leaf to plaster, using a gilder’s tip, and afterwards to ‘fault’ it, or identify where the gold has not taken. 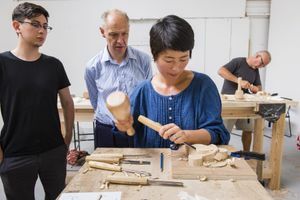 Getting it just right is tricky and requires guidance and a lot of practice. 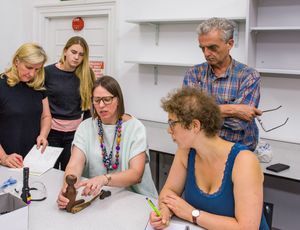 With the skills you learn during this fascinating week, you’ll have all the essentials you need to start practising gilding at home.